SOUTH GRANVILLE LOCATION. EXCELLENT PRINCE for BEAUTIFUL CUSTOM BUILT NEW HOME. ALMOST 2,700 sq. ft. STEPS AWAY FROM MAGEE HIGH SCHOOL, MAPLE GROVE ELEMENTARY. Close to YORK HOUSE, CROFTON and ST. GEORGE'S PRIVATE SCHOOL, UBC, TRANSIT. 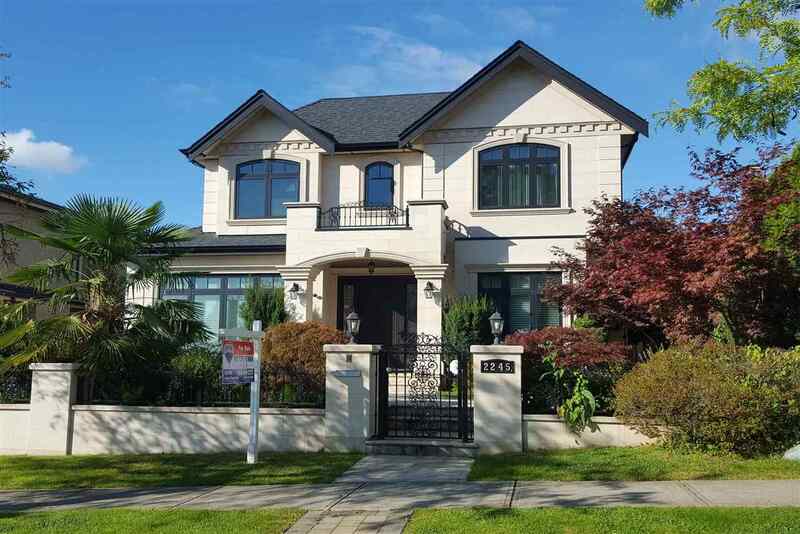 Open floor plan very functional layout, high ceiling, 5 bedrooms, 6 baths, spacious gourmet kitchen with high-end kitchen cabinetry & appliances, extensive used marble & hardwood floor thru-out radiant floor heating system, A/C, HRV, STEAM BATH. Potential 2 bedrooms suite as mortgage helper. MUST SEE! 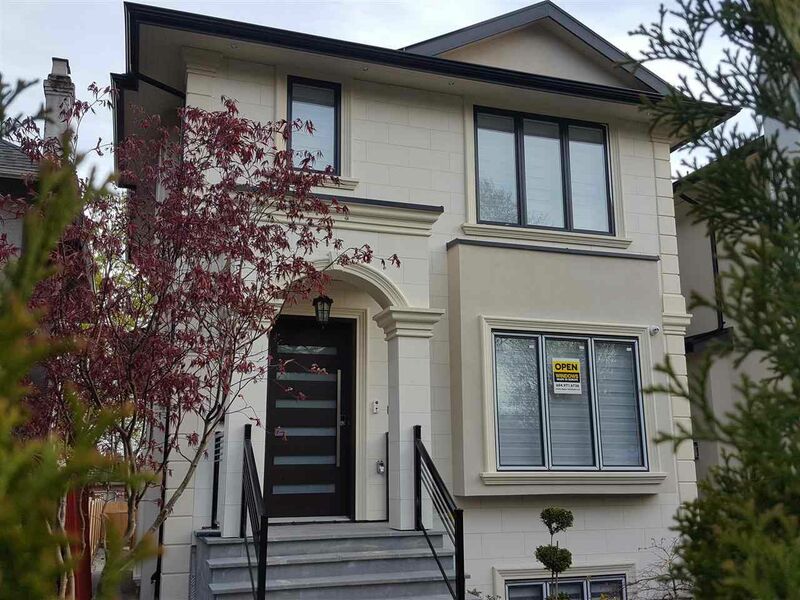 位於溫西SOUTH GRANVILLE區環境優雅全新靚屋。配最佳學區位置；幾步之遙到MAGEE高中, MAPLE GROVE小學。入讀優秀私校 ST.GEORGE’S，CROFTON HOUSE，數分鐘到 UBC。佔地3,748.80呎，室內面積約2,624 呎，5房(主臥帶蒸汽浴) ，6浴。 現代開放式廚房配高端家電。優質硬木地板、配地熱、中央空調、清風系統及保安系統，朝南後院，自然採光充足。毗鄰人氣旺地商舖，餐館超市等所有生活必需點，交通購物方便！必看!